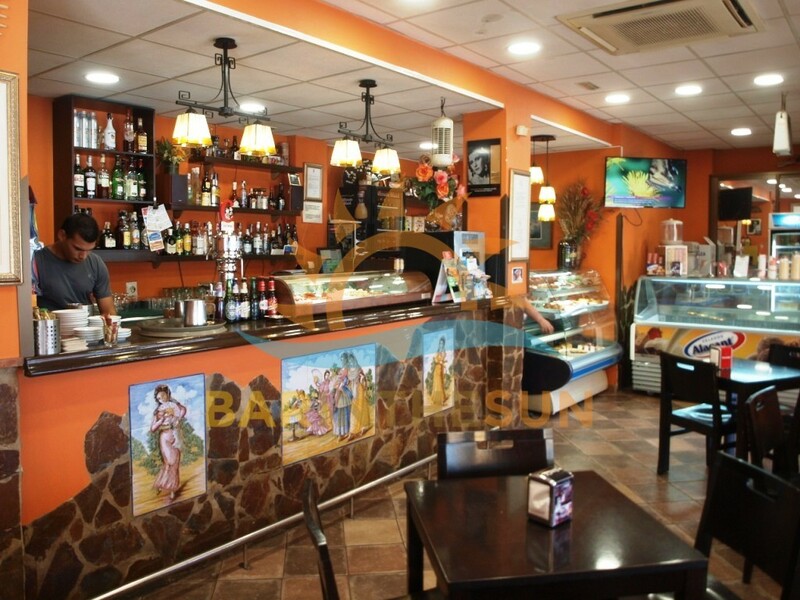 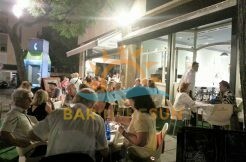 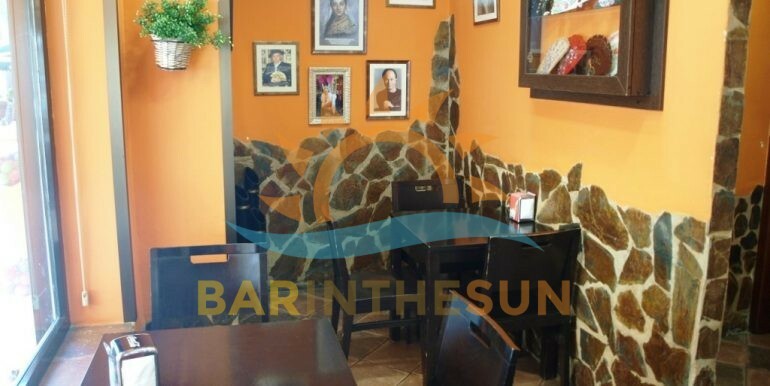 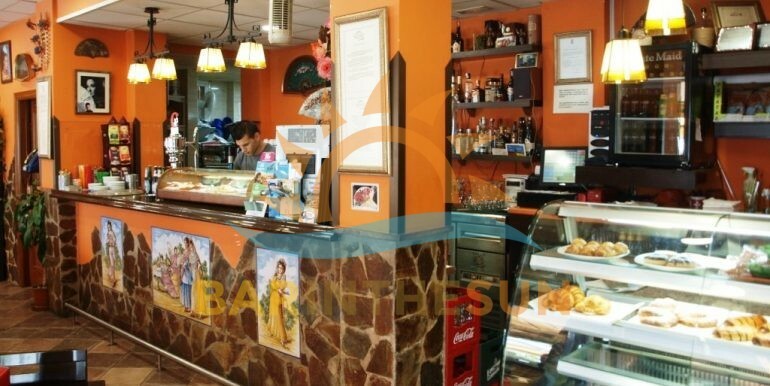 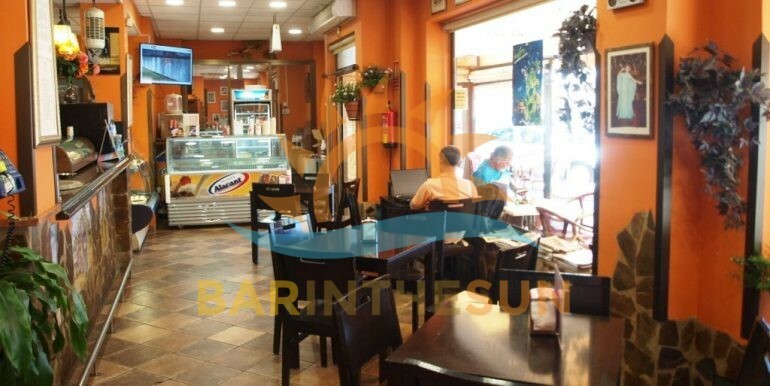 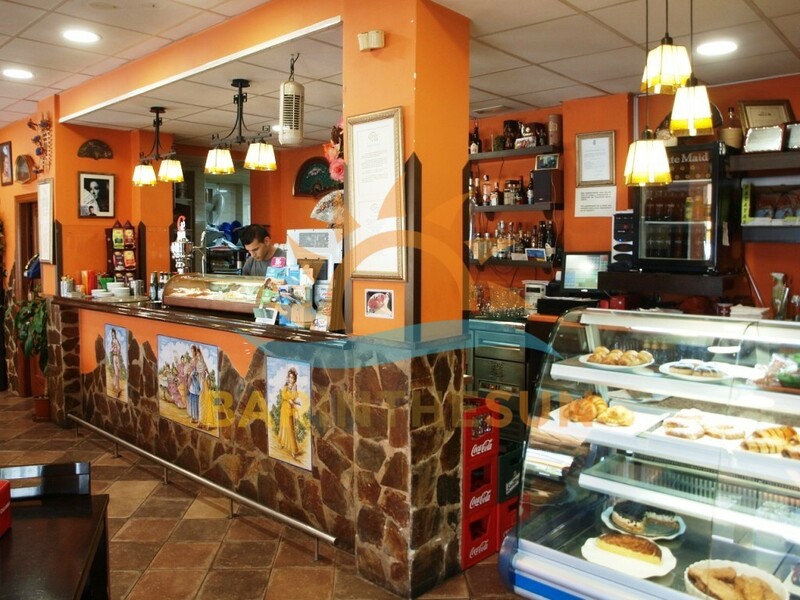 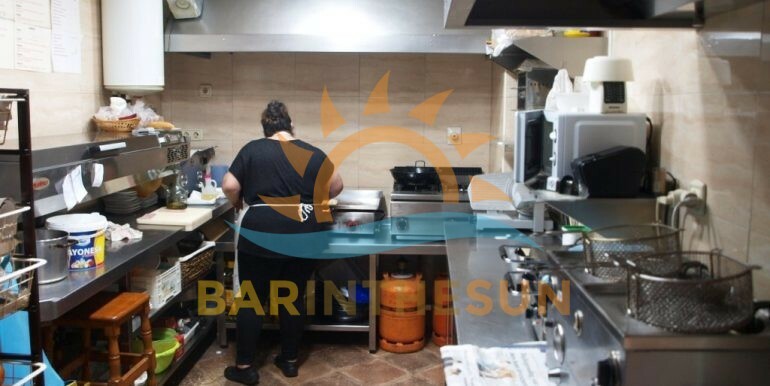 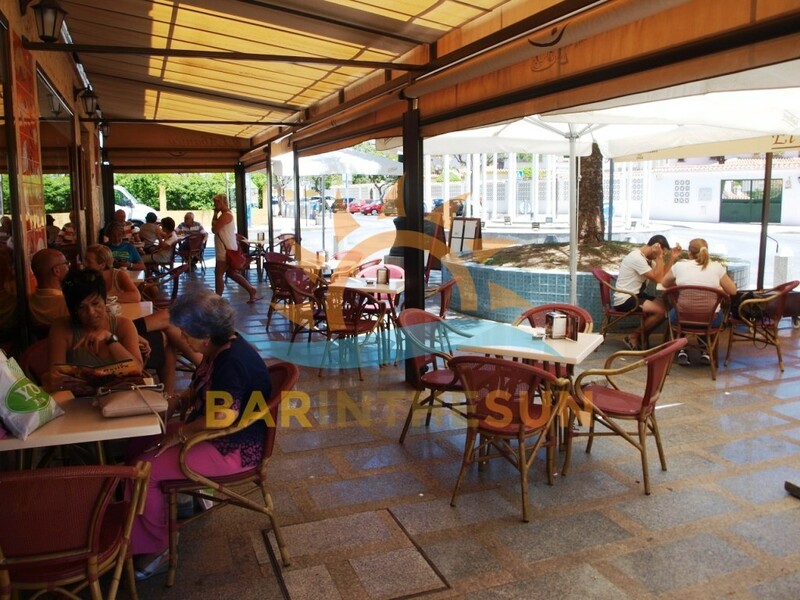 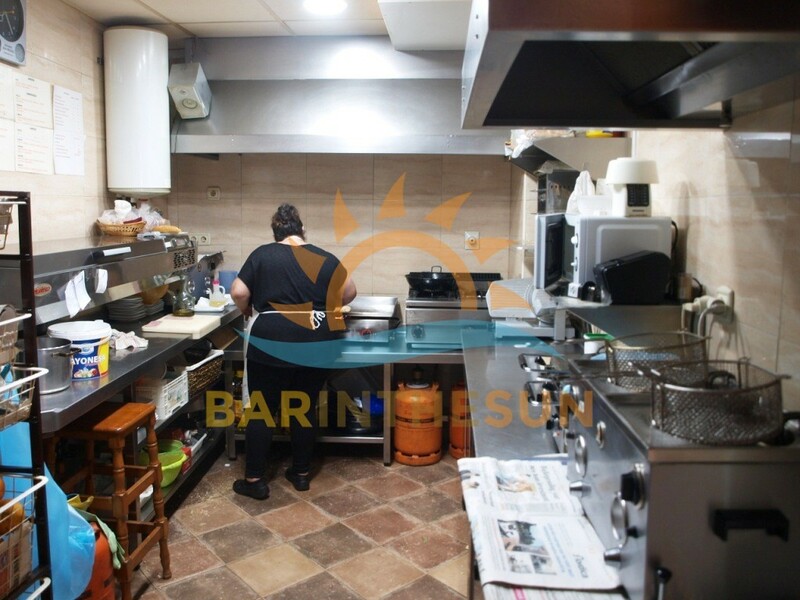 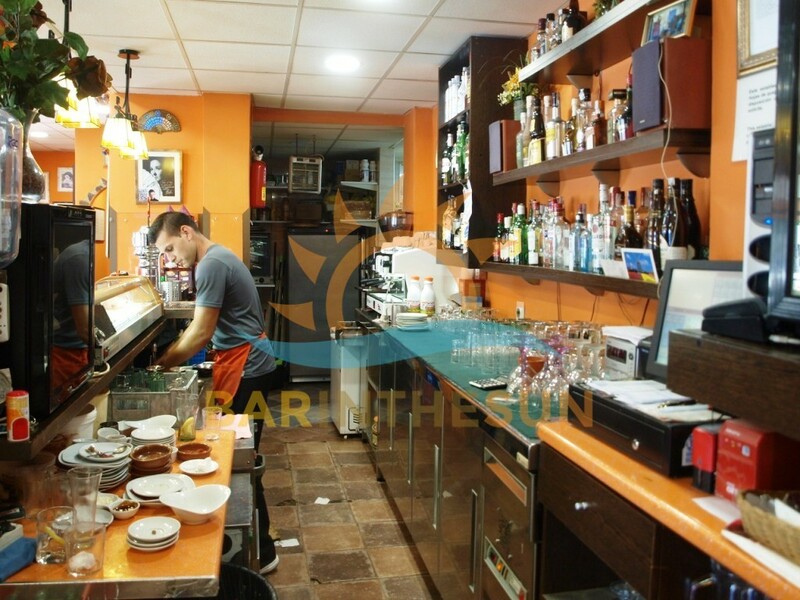 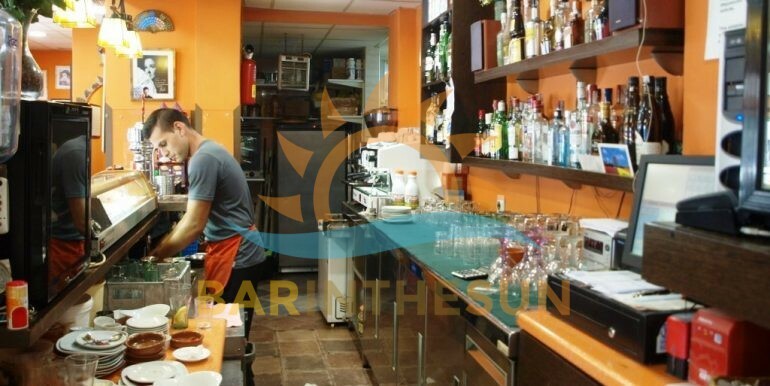 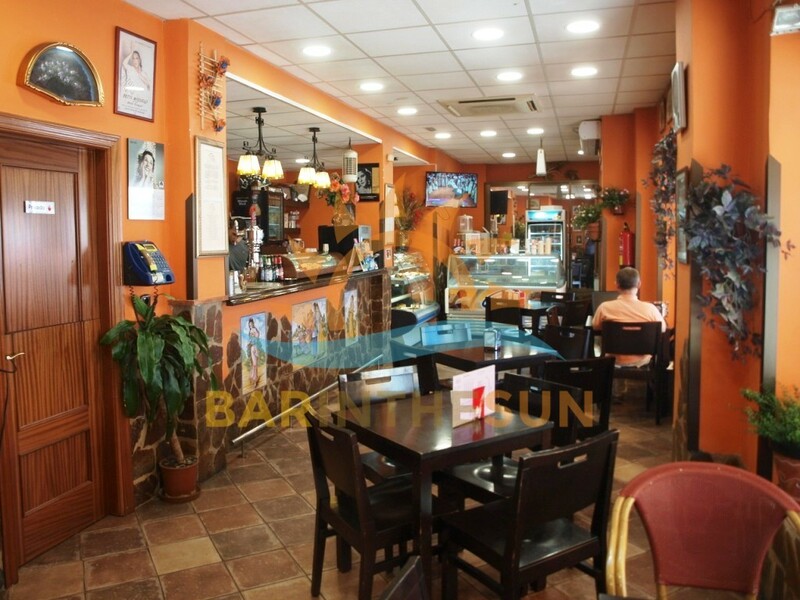 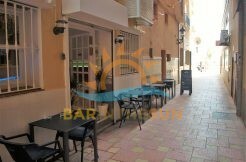 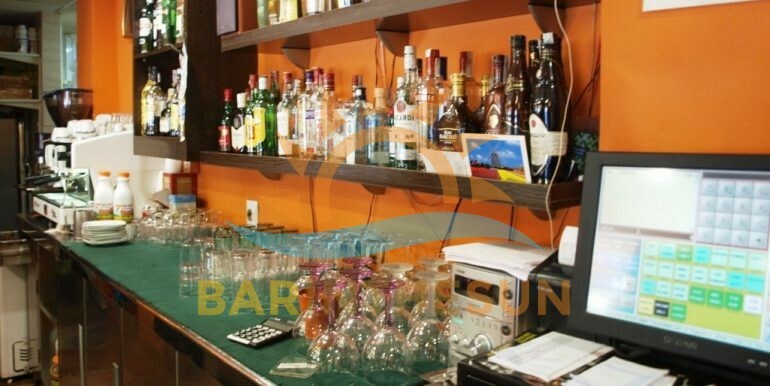 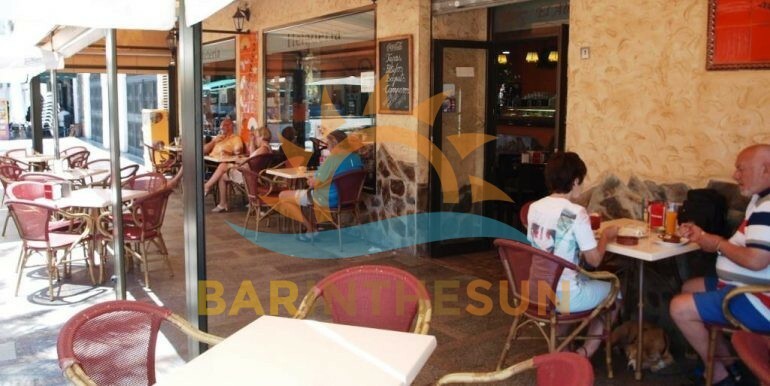 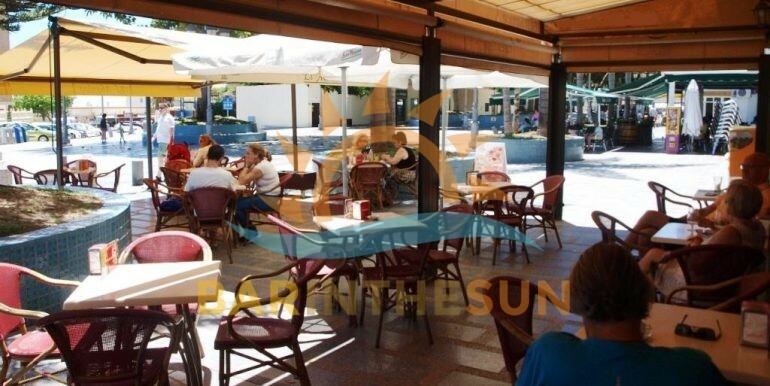 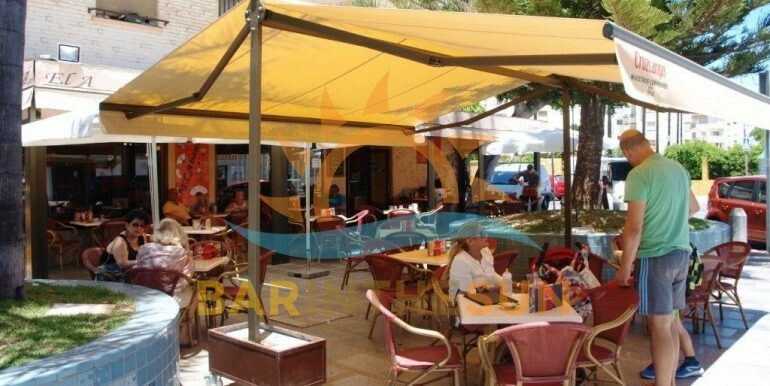 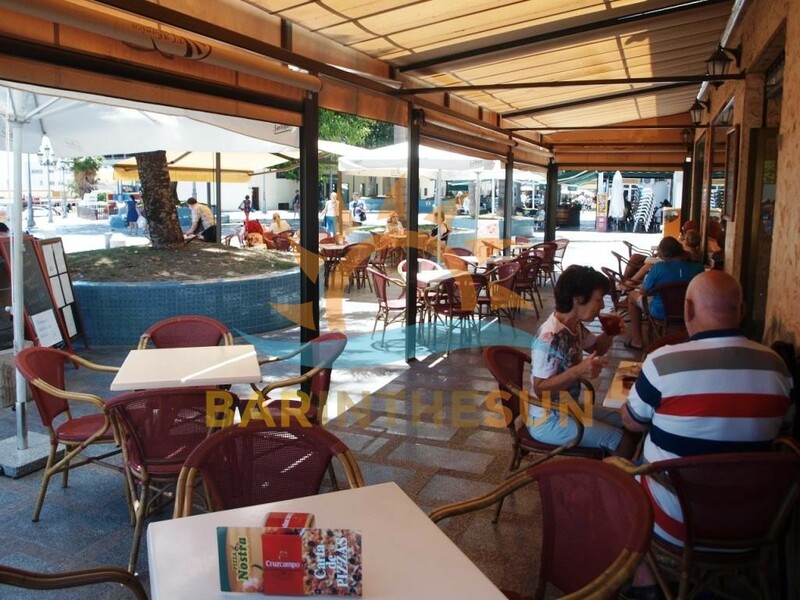 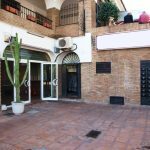 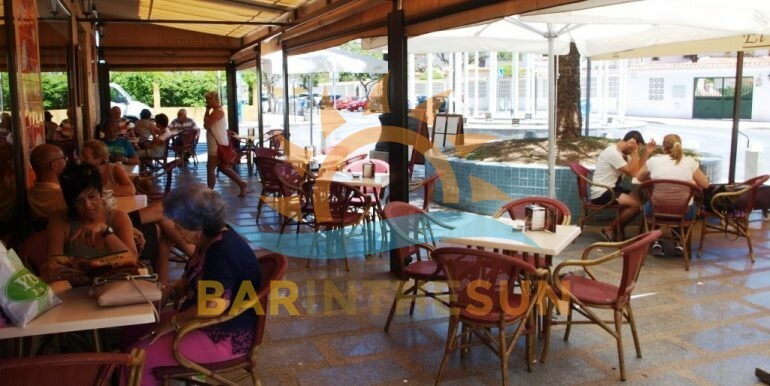 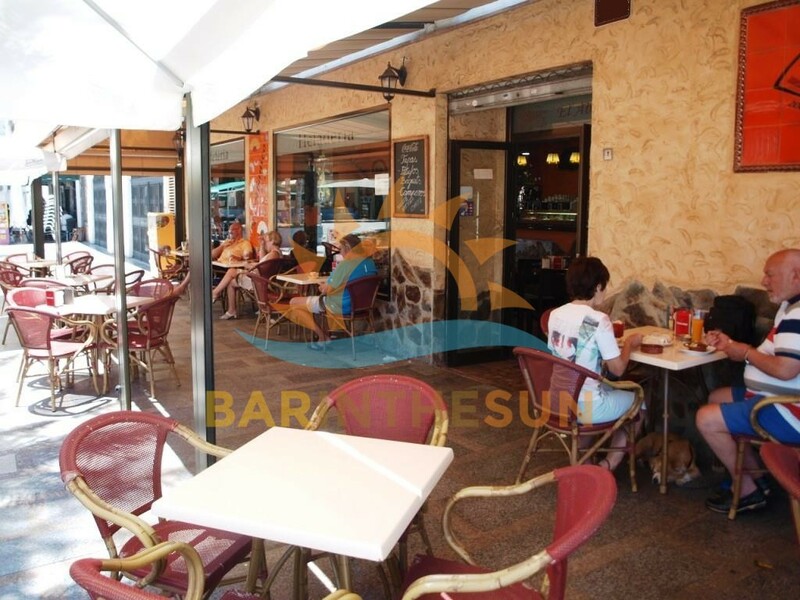 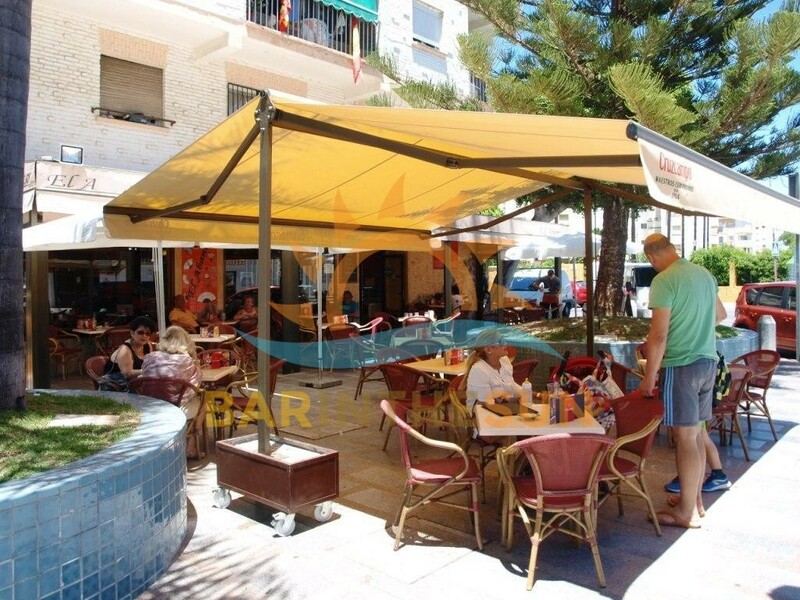 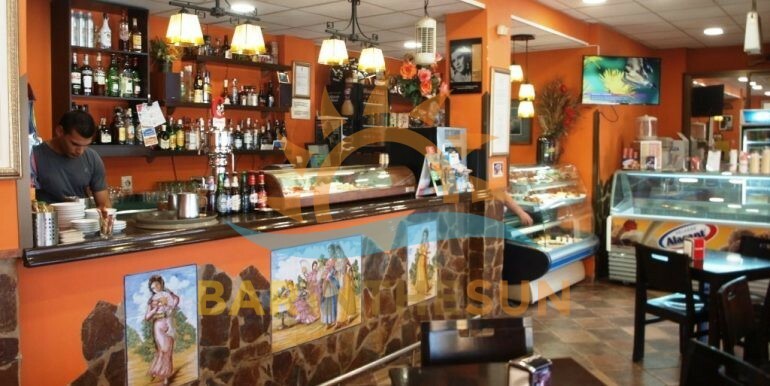 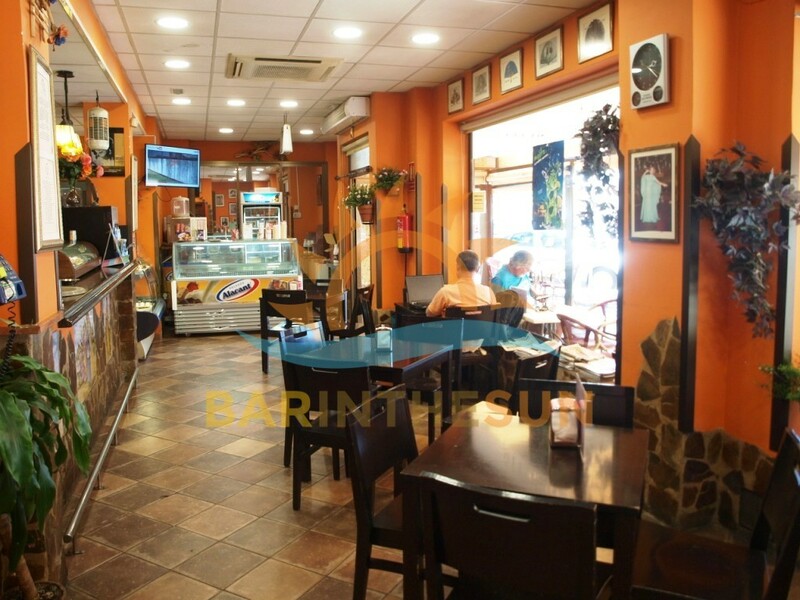 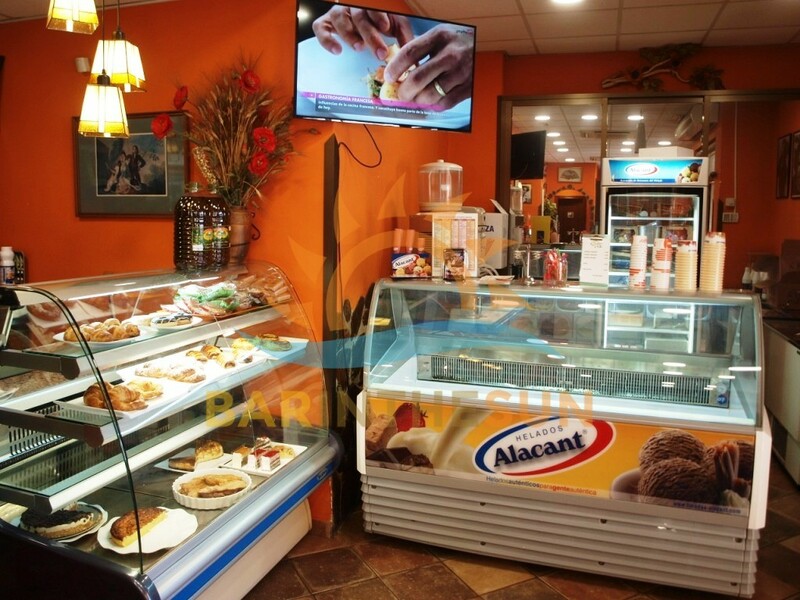 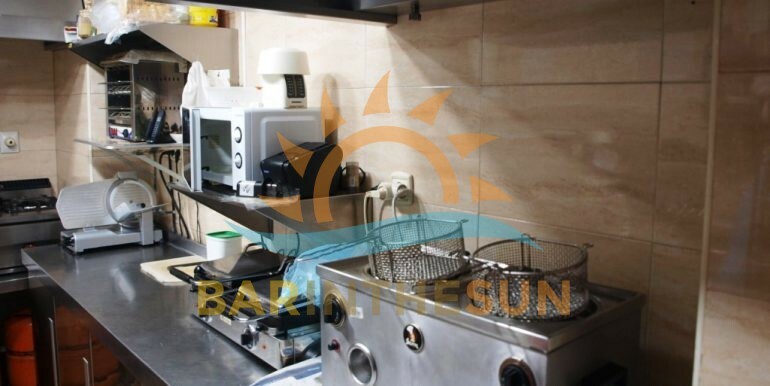 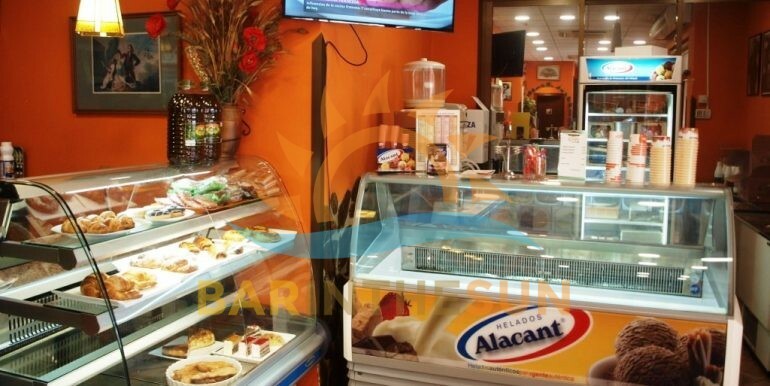 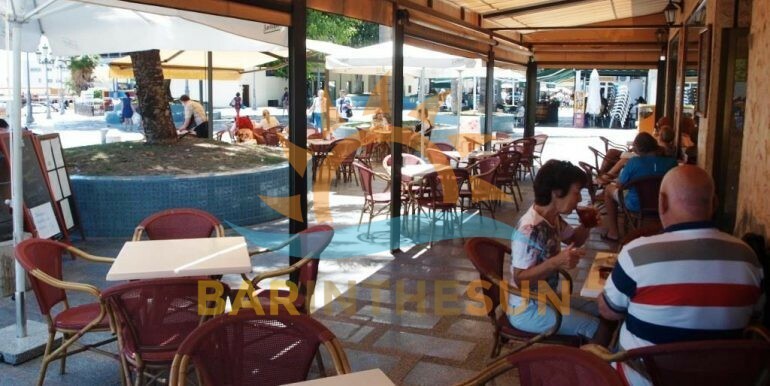 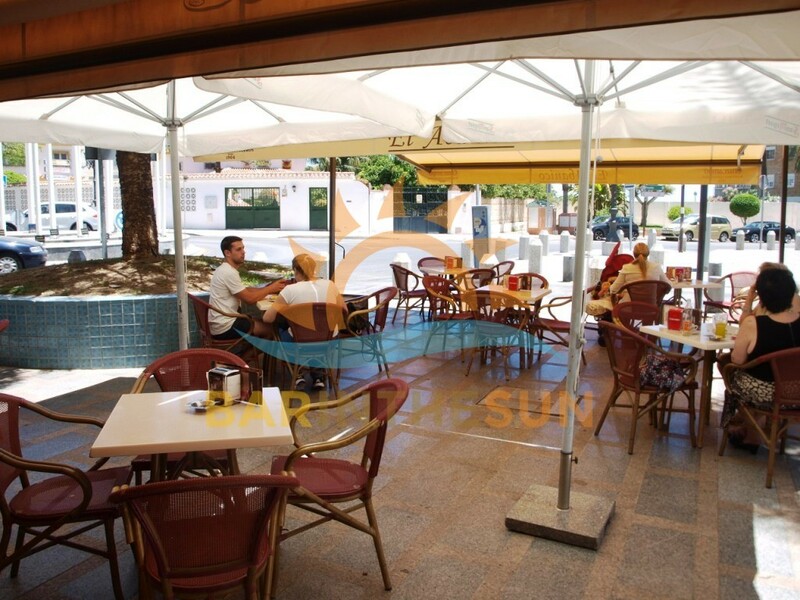 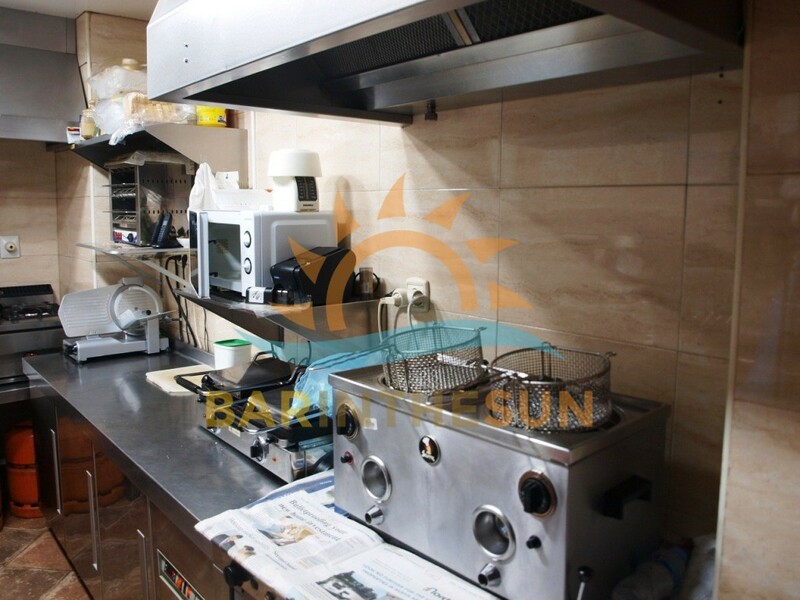 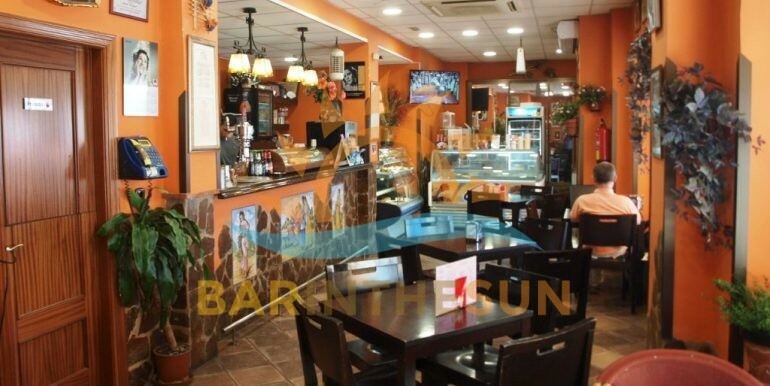 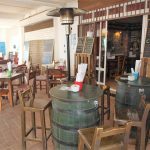 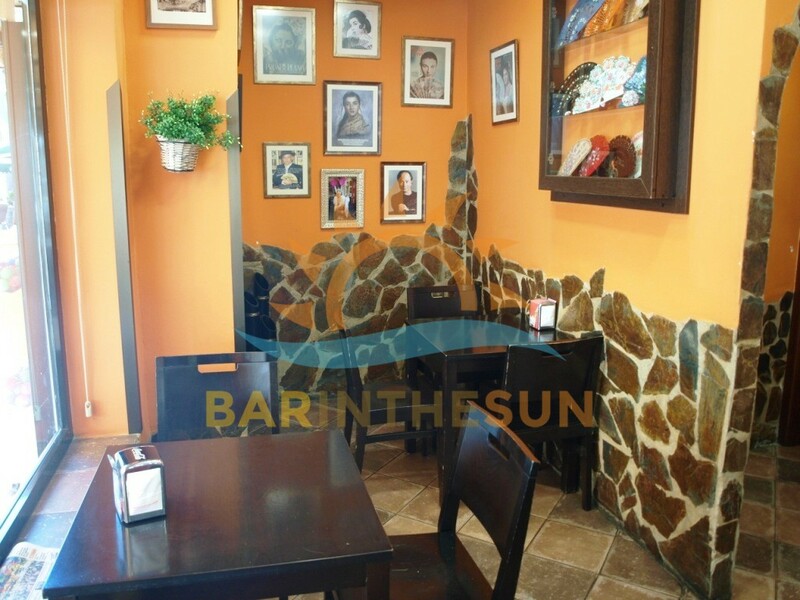 Cafe bar for sale in Torremolinos, Malaga on the Costa del Sol in Spain. 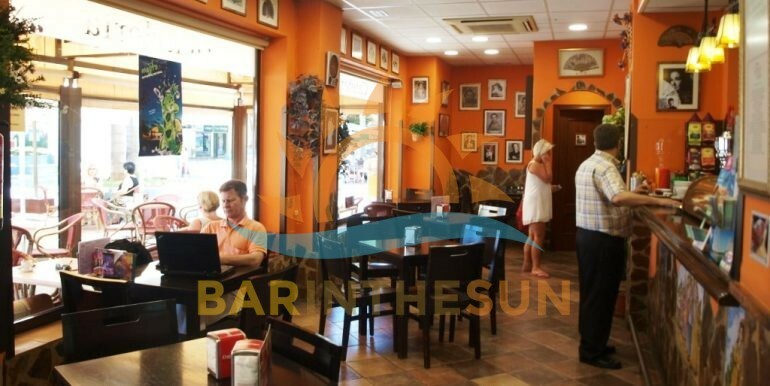 This long established successfully run cafe bar is an exceptional opportunity to take over a business with proven longevity and excellent local reputation, the bar commands a highly visible corner trading location within a popular pedestrian square in the centre of the holiday resort and coastal town of Torremolinos, surrounding this popular cafe bar are various hotels, holiday apartments, residential homes and shopping centre, new owners of this cafe bar will enjoy not just the usual busy summer season but also a good all year round trade from the locals, multi national residents and ever present tourist sector. 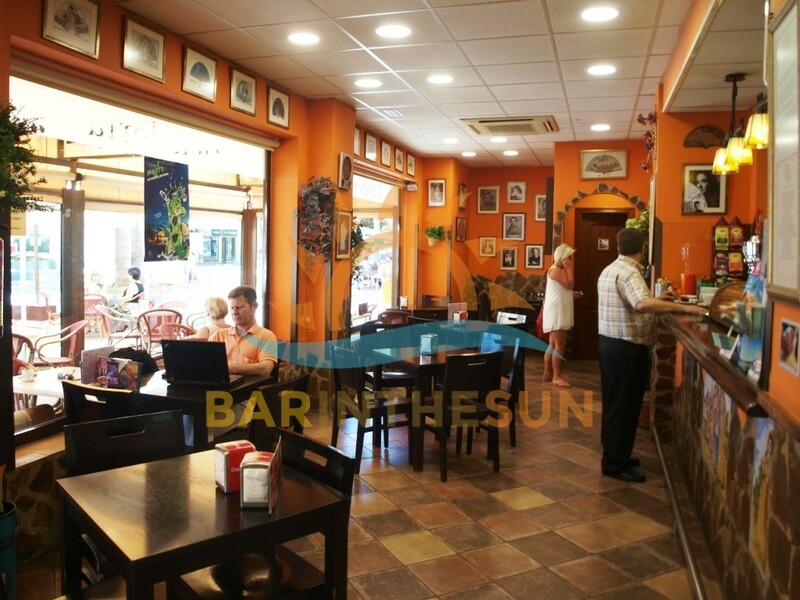 The interior of this desirable cafe bar is approximately 100 m2 with seating for around 20 comfortably, the bar is decorated to offer an old tavern style theme with its long stone front decorated serving bar, the premises offer its clientele a local cafe bar with lots of charm and character, we have included a varied selection of pictures which are current to enable our clients gain an insight of the style, layout and condition of the business, as mentioned previously this is a highly desirable turnkey business that the present owner has established and successfully run over the past ten years and for this reason viewing does come highly recommended. 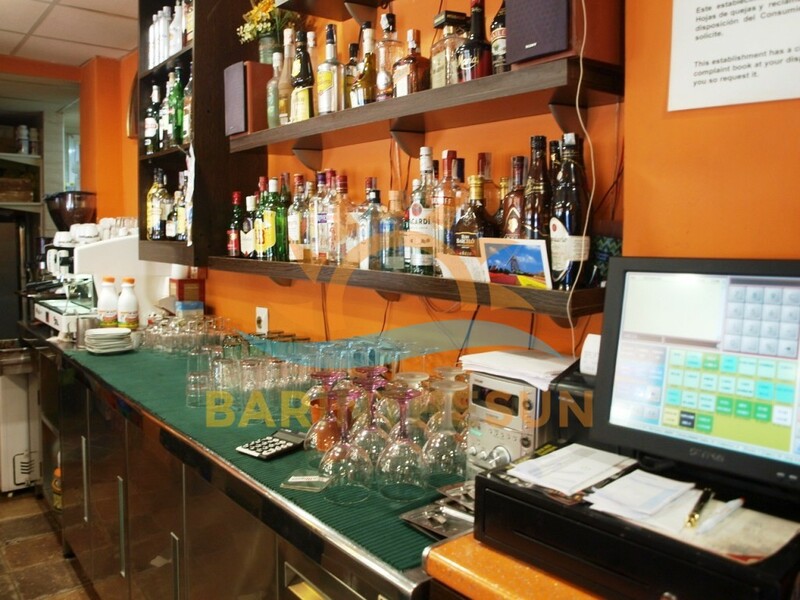 The separate kitchen area of the bar is located adjacent to the main serving bar, the kitchen like the main bar area comes fully furnished and equipped to a very good standard to easily cope with a varied and popular menu, importantly this kitchen facility does comply with the latest licensing laws and regulations required by premises that cater with food to the public sector, new owners can easily change the current menu to suit there own preferences when it comes to the catering side of the business. 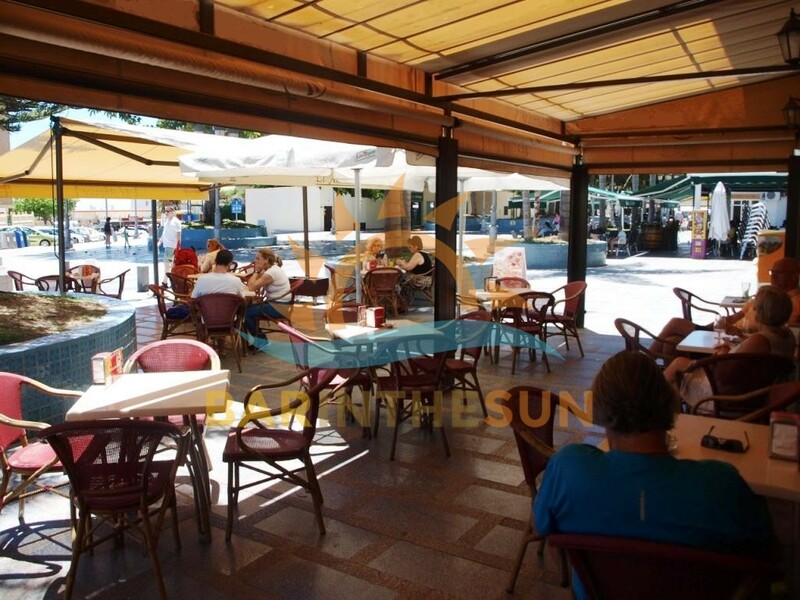 The exterior terrace area of this long established successfully run corner located cafe bar is approximately 40 m2 with seating for around 50 plus, this valuable terrace area is situated in a busy pedestrian square in a central location that enjoys good footfall of passing trade from early in the morning until late in the evening, a large area of the terrace has an all weather canopy system installed that ensures the terrace can be utilised to capacity throughout the year.